If you are looking for a complete solution, please refer to our product pages for low voltage frost protection. These components are all available for installers, to create custom systems or for maintenance. To enquire or order, please contact us. Heavy gauge stainless steel heating elements are clipped to the cold room base concrete then covered with a screed layer. The elements are powered by low voltage and a transformer via a control box. Heavy gauge stainless steel heating elements are inserted to energy efficient Topox VIB flooring board. This option offers quicker fitting and no requirements for having a screed layer on top. 2mm thick aluminium foil in a plastic coating. Used in cold stores with in-situ floors where height restrictions are an issue. Bespoke manufacture in our factory to exact specifications for each contract. Controls the operations of the heating system. There are different control boxes for underfloor heating and the other forms of heating offered by Thermatek®. High quality stainless steel strips or silicon rubber cable are supplied to length on reels and connected via cold tails to a transformer. Heavy gauge stainless steel is embedded into the base layer. 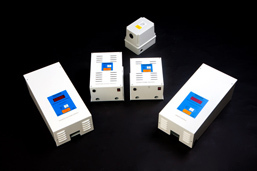 Low voltage heating is supplied via a transformer and control box. Specifically designed for the cold store environment to equalise varying internal and external air pressures. The valve is heated to prevent ice build-up and condensation build-up. A vertical element heating system is used to halt the process of frost heave and eventually to eliminate frost heave. To enquire or order, please contact us.